The face of penjing, cannot be attributed to, or singled out to any one Chinese individual in this day, forward; for so many in their own effective way, have contributed. Appropriate, therefore to honour one of the many, who have come before; yet left, having given not in defined monetary terms - rather in a penjing advocacy & ambassadorial sense: to the world, beyond. Not even, so much, his art; as what he did with it. Our Posthumously awarded - Patron of the recently formed Chinese Penjing Artists Association of Australasia Incorporated. Such award being made in the hearts of the many to follow and well prior to the formation of subsequent minions, such as the CPAAA. 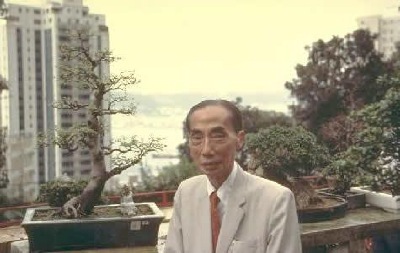 Wu Yee Sun College, through LINKAGE to learn even, more of the generosity of this man's life.